I just noticed that Blinq.com has the Grundig S450DLX on sale for $34.19 shipped. These units are described as used/open box and may show minor wear and/or come repackaged. I believe you can buy from Blinq with confidence; I once had to return a product and found that Blinq made the process hassle-free. You can purchase directly from Blinq or via Amazon.com (click on “Other Sellers” new and used). 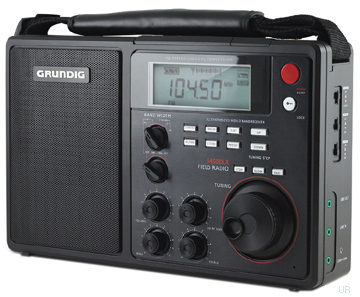 This entry was posted in News, Shortwave Radio and tagged Blinq, Grundig, Grundig S450DLX on October 15, 2014 by Thomas. Jay Allen wasn’t too impressed with the S450DLX. I’ve heard similar comments from others as well. It looks like blinq is out of stock. The direct link is dead and they aren’t listed as a seller of the item on Amazon. It was a great deal. I’ll keep watching for it. Holy cow, that was quick! Thanks for the update, Scott! Is brand new (Amazon) for $59 not a good deal for this radio? What’s the consensus on it’s performance?